1991 A Reserve Grade Champions Te Rama. Martin Young, David Robinson and Malcolm Wong. There were 8 teams in the grade and 2 rounds were played. Te Rama (Malcolm Wong, Martin Young and David Robinson) convincingly won the Grade (13 wins 1 loss) with 39 points, 10 clear of runner up Onslow (Adrian Sutton, Les Foy, Tony Tziakis). Malcolm Wong first played for Te Rama in C Grade (1982) with his brother Peter and Mike Burke. In his first match Te Rama beat Johnsonville 12-0. He played interclub for Te Rama (1982-98) and was in Premier 2 (1994-98). He has won 10 Te Rama Club Singles and the Titan Club Singles (1995). He was in the Te Rama team that won C Grade (1986) B Grade (1989) and A Reserve Grade (1991 & 1993). Also the Pre Christmas Division 2 A (1986) and the Autumn A Grade (1997) where in the final against Onslow, Malcolm won all his 3 singles which included defeating 2 current NZ Junior Boys Representatives. He won the 1982 Regional C Grade Doubles (with Brian Roberts), 1989 B Grade doubles (with Henry Anastasi), A Reserve Singles (1990 & 1991) and Doubles (1989 with Henry Anastasi & 1991-93 with Martin Young), and 1995 & 1996 Open Grade Doubles (with Matthew Hobbs). Malcolm later played interclub for Titan, Onslow and Empire, including Premier 1 for Titan and Empire. He was a National Councillor (1987) and the Wellington Table Tennis Association President and Chairman (1990-91). He was to be Wellington Treasurer (1993 and 1996-98) and Secretary (1998). Malcolm was elected as a Wellington Vice President (1999). He is a qualified coach, with Table Tennis New Zealand Level One and Coaching New Zealand Level One Certificates (2001). He qualified as a National Referee (2007) and International Umpire (2008). 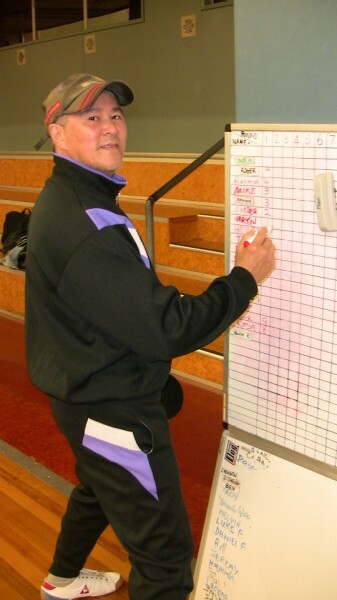 Malcolm has been on the TTNZ Umpires and Referees Committee since 2012 and was this year on the Oceania Table Tennis Federation URC. He was the TTNZ National Official of the Year (2013). To date he has won 85 Tournament Titles. His first title was winning the 1995 Wellington Regional Over 40 Doubles with John Lelliott, against Adrian Lust and Nha Nguyen. 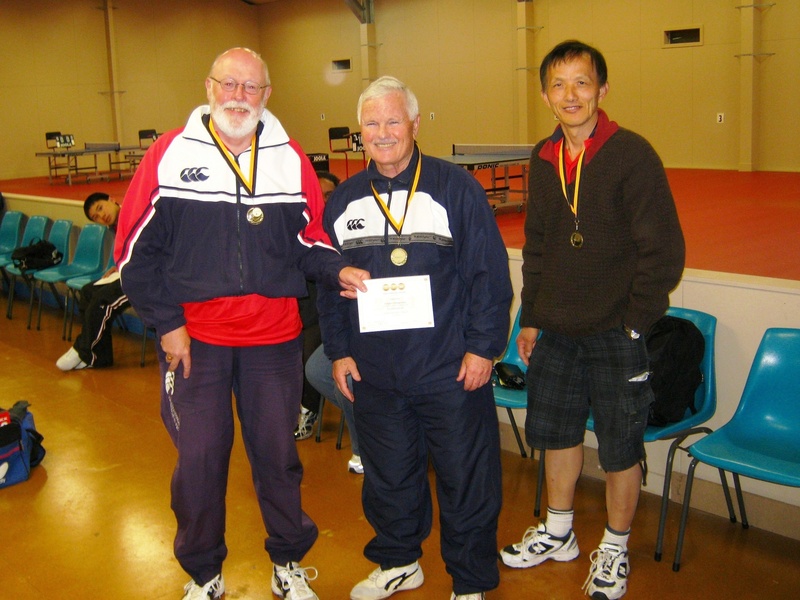 At this years NZ Chinese Sports Tournament Malcolm with Martin Young were runner up in the Men’s Doubles and were in the winning Wellington Men’s Team. Martin Young had originally played for Ling Tse and was in their team that won the C2 Grade (1987) and C Grade (1988). He headed the C Grade singles averages in 1988 with 34/36 (94%). He and Martin Gee won the C Grade Doubles that year. He joined Te Rama in 1989. Martin was in the Te Rama Team that won the A Reserve Grade (1991 & 1993) and he won the A Reserve Singles (1993) and A Reserve Doubles (1991-93). He was to have the top singles average in Premier 2 in 2003 with 24/27 (89%) when playing for Johnsonville. He has won 16 Te Rama Club Singles and the Johnsonville Men’s Club Singles twice. Martin was in the GP Print Dragon Boat Team the won the Wellington Corporate Section (1993). He currently plays for Empire in Premier 1 and has been on the Empire Club Board since 2011. David Robinson was a NZ University Representative (1964) and has a doctorate in Physics from Auckland University (1964). He played for Takapuna in the North Shore competition and for Auckland University in the Auckland competition. In the North Shore Grade Championships, he won the C Grade Doubles (1957), B Grade Singles (1958) and A Grade Men’s Doubles (1961) with his older brother Max. David was in the Auckland University Team that won the table tennis at the NZ University Tournament (1964). He also won the Mixed Doubles with Ann Mutch. David played in England (1966-69) at Harwell, Oxfordshire, for his work team, Atomic Energy Research Establishment, in the local league. He moved to Wellington (1969) but did not play again until 1988 for Ling Tse in the Pre Christmas Summer Interclub (Division 2) prior to joining Te Rama in 1989. He also has an interest in music and has played the bassoon in various orchestras. Runner up Onslow had Adrian Sutton, Wellington Association Secretary (1990) who was in the winning A Reserve team with Newlands (1989) with his wife Pam, Bob Bell and Brian Neale. He won the 1990 A Reserve Grade Doubles with Jason Granville. Also in the team was Les Foy and Tony Tziakis. Tony was in the same 1977 Wellington College Team as current Wellington Junior Coach Paul Solt. He is now playing again at the Titan Club. Third placed Titan A had Virgil Kan, now The Club Captain at Onslow. Geoff Fletcher, who had originally played for PSA, and was to win the Titan Over 40 Singles (2000). Bruce Stewart had set up the first work trust and was the founder of the Tapu Te Ranga Marae in Island Bay. The Marae entered teams in Wellington interclub in 1983 (C and D Grade) and 1984 where the C Grade team (Bruce Stewart, Maru Corbett, Dean Stewart) finished second in the grade. Dean is Bruce’s son and another son James played table tennis at the Titan, Empire and Belmont Clubs. Another son, Sam played rugby league for New Zealand. Bruce Stewart was to win the A Reserve Singles (1994). Newlands had Bob Bell, Kerry Duggan, and the father and son pair of Tony Fisher and Ross Fisher. Ross Fisher was in the Wellington Boy’s under 15 Team (1990) and Under 19 Teams (1991-92) and was to win the Wellington Secondary Schools Boys Singles (1992). Bob Bell, Kerry Duggan and Ross Fisher would be in the Newlands A Team (with Ray Hardy and Brian Neale) that would win the A Reserve Grade in 1992. Titan B had Allan Rassmussen, who had won C Grade with Spartan (1981) and PSA A (1984) and D Grade with NAC A (1969). He won the C Grade Singles (1981 & 1989) and C Grade Doubles (1982 with Dave Pyle). He won all his 39 matches in 1981. Colin Hicks was in the PSA A Team that won C Grade (1984) and he and J Milne won the 1981 C Grade Doubles. He was President of the Public Service Association (PSA) from 1983 to 1988. Colin died in 2010. Dave Pyle had been in the University team that won D Grade (1979) and the PSA team that won D Grade (1981) and C Grade (1984). He won the 1964 2nd Grade Singles and Doubles (with T Ng), C Grade Singles (1983) and Doubles (1982) and D Grade Singles (1978-1980) and Doubles (1978-79 with H Yee and 1980-81 with Jim Delahunty). Dave was on the Wellington Association Committee (1980-85) and would be in the Apollon team that would win the A Reserve Grade (2006). Elizabeth Groblinger was number 5 in the Wellington Women rankings that year. Apollon had Chris Papanicolaou Alan Bond, Stuart Prince and Peter Varuhas. Chris Papanicolaou had been the Apollon B Grade winning team (1979). Alan Bond had been in the winning C Grade Team with Sony (1978) and Royals (1989). He won all his 27 matches in 1989. He won the C Grade Singles (1972 & 1989) and 1989 Doubles (with Ron Haward) and 1972 D Grade Singles and Doubles (with Brian Biberstein). Peter Varuhas is a Romanian Greek who arrived in New Zealand in 1951 and first played for the Apollon Club in 1952. Already playing for the club were Nick Gousgounis and Chris Papanicolao. Peter (1975-79), Nick (1980) and Chris (1980-85) were on the Wellington Association Committee. Nick and Chris have since died. Peter Varuhas would play for the Apollon Club until 2006 when he was 78. Peter was in the Apollon team that won D Grade (1975), C Grade (1976), B Grade jointly with University A (1979) and A Reserve (2006). In those winning teams was his younger brother Nicholas (1975 & 1976), who has since died, and his son Costa (1979). After 2006 there were insufficient teams to have a A Reserve Grade competition at the Newtown Stadium, Wellington. The players in his Apollon team did not want to play in the B Grade competition at the Empire Club (Petone) so the team stopped playing interclub. Karori had juniors Simon Reed, Grant Hardy and Mark Jurgeleit. Simon would be in the Wellington Boy’s under 19 Boy’s Team (1992-94) and be the top ranked Wellington Under 19 Boy (1994). He was in the Wellington College team that won the Wellington Secondary Schools Boys Teams (1991). Simon would serve on the Wellington Association Committee (1993-2002). He was also coach of the Wellington Under 19 Boys Team (1998-2001). The 2000 Team (John Cordue, Evan Kramer, Cameron Gordon, Quentin Rew) won the NZ Boys Under 19 Teams Title. (John Cordue would be number 1 on the NZ Men’s Ranking list (2009) and has represented NZ at the World Championships and this years Commonwealth Games. Quentin Rew would represent NZ at the 2012 Olympics in the 50 km Race Walk.) Mark Jurgeliet was in the Wellington Under 15 Boy’s Team (1990) and won the C Grade Singles that year. He was in the Wellington College Team (1991) and Onslow College Team (1992) that won the Wellington Secondary Schools Boys Teams. Grant Hardy was in the Wellington Under 15 Boy’s Team (1986-87) and he won the 1987 Wairarapa Open under 15 Boys Singles and Doubles. Hardshots had Brian Neale who had played A Grade for Victoria University and Newlands. 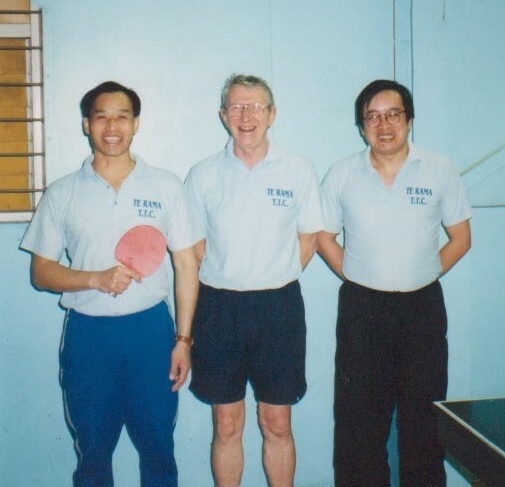 Brian was in the Victoria University Team that had won the table tennis at the NZ University Tournament (1963) and he was runner up in the Men’s Singles. He was then selected in the New Zealand University Men’s Team that toured the South Island. Brian was in the Newlands team that won the A Reserve Grade (1971,1986 and 1989). He won the A Reserve Grade Singles (1986) and Doubles (1971 with Robert Yee). Brian has won 10 Newlands Club Singles. He was on the Wellington Association Committee in 1964 and 1983-89. Brian was the Wellington Association’s Secretary (1983-89) and was elected a Wellington Vice President (1994). He had the top singles average in the Grade with 35/39 (89.7%). Brian O’Connor and Alan Dunn originally played for Johnsonville, with Bill Stevens. When the Club folded up they formed the Hardshots. The team had won the C Grade in 1990 and had the top 3 players in the interclub averages. Alan Dunn and Bill Stevens were top equal with 43 wins in 45 matches (95.6%). Brian O’Connor was 3rd with 36 wins in 45 matches (80%). 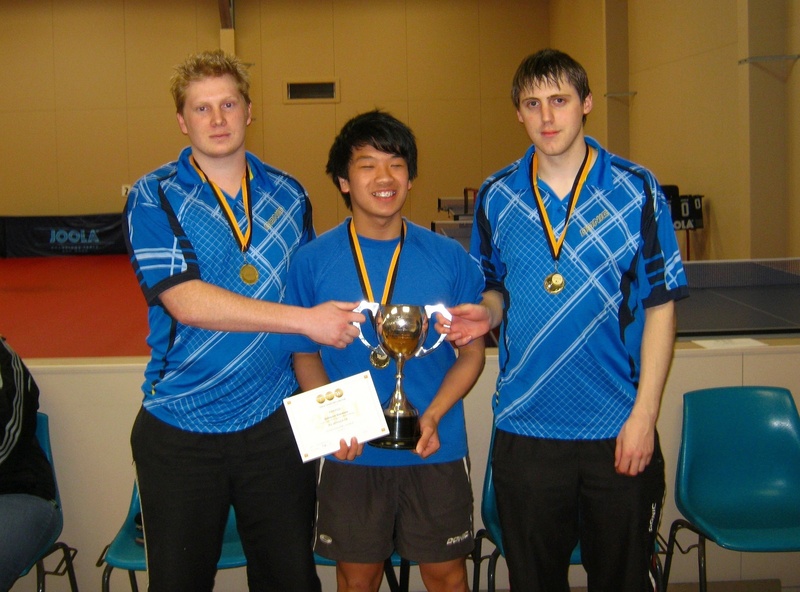 In the A Reserve Grade Championships, Malcolm Wong won the Singles against Martin Young. 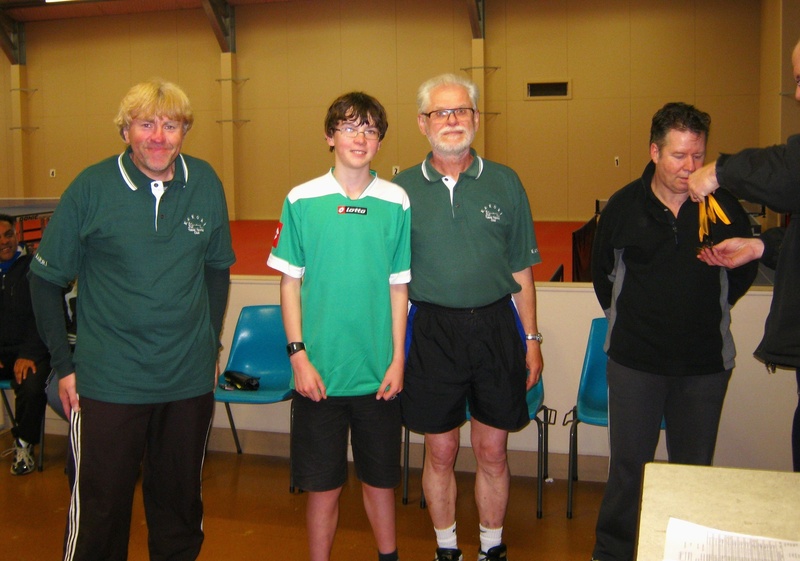 Malcolm retained the title he won the previous year against Jason Granville, a Wellington Under 19 Boys Representative and future Wellington Player. Malcolm Wong and Martin Young won the Doubles against Adrian Sutton and Simon Reed, and they were to retain the doubles title in 1992 and 1993. In the Grades Match against Hutt Valley (11 August), The Wellington A Reserve Team lost 4-7. Hot off the press the draw and rules are now available below. Enjoy the competition! Remember Junior Interclub dates per above. Also remember the Wellington Autumn Open – May 19/20 – entries close May 15! Hi folks, after the usual late rush of entries and fiddling to get seedings near-enough, here are the actual draws for Summer Interclub from Wednesday February 29 through April 4. Thanks to Bruce for getting it all together. Grades A and B are split into two sections with a playoff between them on the last night. Grade C has a 1v2, 3v4, 5v6 playoff on that last night. Refer to the earlier 2012 Summer Team Interclub blog entry for more details. See you all Wednesday at the Empire Table Tennis Club stadium. The Karori Club finished off its 2011 season on the 21st of November. On the night the club watched the Senior A Grade Singles final between Frank Su, previous 3 times Senior Champ, squaring off against first time finalist Tim Hills. Frank prevailed in 3 games: 8, 6, 6. Below a photo of action in the 3rd game, with club president Roger Watkin officiating and junior Matt Carmichael in the background acting as a ball chaser. And listed below the results of our competition which was held during October and November. Summer Table Tennis – where to get it? Summer interclub (team competition, a bit more casual than the main winter interclub season) is broken into two distinct (unrelated) phases, first the Composite Interclub (see here and here). Second the ‘pre-season’ (late summer) summer interclub round with a format to be determined. For more details watch this blog or keep in contact through your club. Some clubs remain open with a small break, others close for a summer break. Consider visiting a different club every now and again – chances are you’ll play people you’ve never played before. Waterloo: starts again early March (probably the first week). Onslow: starts again late March. Tawa: Porirua East School, 8 Martin Street, Porirua East (turn right to hall prior to parking area). Operates from 7pm each Wednesday night April to October. Titan: open through the summer except for 4 weeks off from mid December. 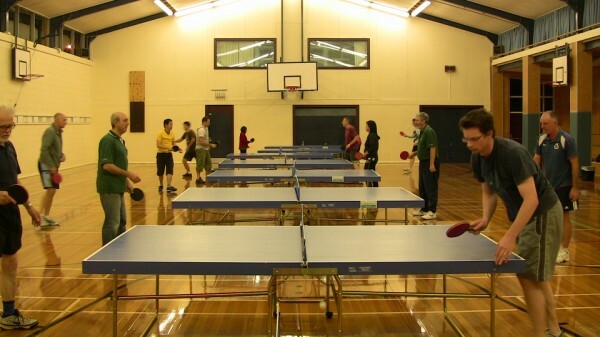 Key hire for the Newtown stadium is available too, contact Table Tennis Wellington. Belmont: running until the 25th of November and is starting up again in the middle of March. Karori: finishes November 21, starting again late February or early March, to be determined. Empire: The the last Monday night is Dec 12, the last midweek – Tuesday Dec 20 then opening casually from Jan 17 (officially Feb 2), and the last Junior club is Friday Nov 11. Opening dates for Mondays & Fridays to be determined. Moonshine & Victoria University: – refer to club contact information here. For more details or for other clubs refer to the club contact information here. 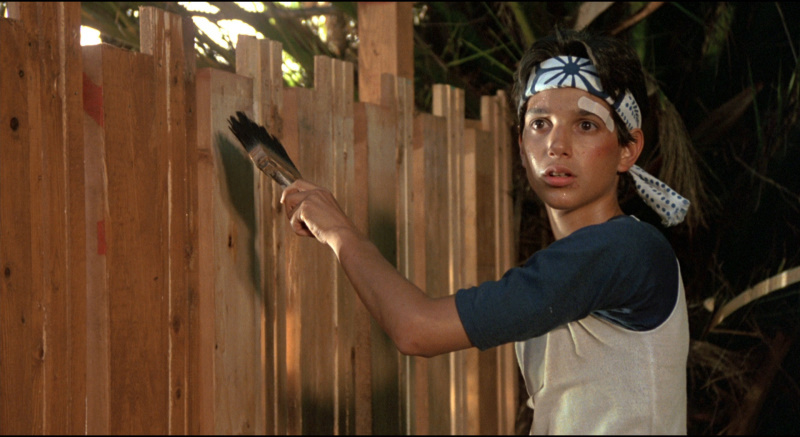 My tip: paint the fence – if it worked for The Karate Kid it will work for you. There are probably a hundred unpaid volunteers of some kind that help run and facilitate table tennis in the Wellington region. If you’re not already one of this bunch, think of something you enjoy doing that could contribute in any way. Put your name forward! Need a quick table tennis fix? Trawl the web looking for table tennis news, blogs and videos, but start with Win Ngyuen’s youtube channel and Matt Heatherington’s TT blog. 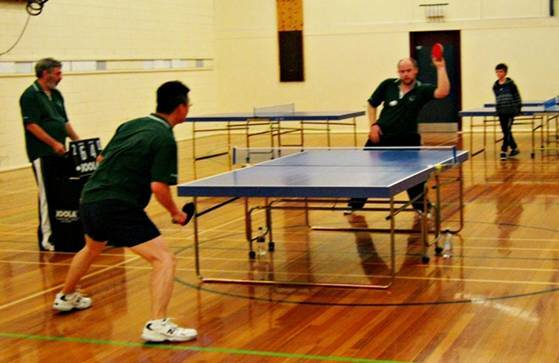 There is probably a table tennis table at one of your friend’s houses – go there and play and give them a lesson. Nothing will give you more pleasure. Just don’t forget to bring your own bat otherwise you’ll be battling to a 15-all deuce in the 3rd set against their 11 year old son because trying to topspin using their pimple-out no-sponge half-torn up left-in-the-sun fly-swatter only leaves you looping directly into the carpet at your feet. The ulterior motive is that you could have some more people to bring along to your club. Lend them your real bat or a spare and open their eyes to what it is all about. make a mini table tennis table… then become the best in the world. Other ideas? Just comment below! Premier 3: Karori Kometz (Darrin Carmichael, Ben Westenra, Reg Fuez) 6-4 over Empire Xiong, reversing an in-season loss to Empire Xiong. NB: Series 1 Results here. Congratulations to all interclub players, a great season all-round with some close results in the end leaving some results in the balance until the last night! Thanks to Stephen, Diane, Bruce, & Paul for their hard work in keeping the wheels rolling and the results posted. Prem 3 Final: Karori Kometz (winners of Series 2 round robin) v Empire Tsunami (on equal points with Empire Tornado but make the final on a count back by one game!). Tuesday Sep 21, Premier 3 grade champs – open to all Premier 3 players (except the three main players in Empire Advancers promoted from Premier 3 to Premier 2 for Series 2). Wednesday Sep 22 Premier 2 grade champs – open to all Premier 2 & 3 players (except the two players promoted from Premier 2 to Premier 1 for Series 2). The Empire Table Tennis Stadium opens at 6:30pm in each case, matches start 7pm. On Monday 10 May TTW Coach Andrew Hubbard carried out a coaching visit to the Karori Club. The Karori club operate out of the Karori Recreational Center, which is just behind the Karori library. Junior and Senior Club run on Monday nights and are combined with the junior club running from 7.00-8.15pm, with a light supper afterwards. Seniors start at 8.15pm and go until 10.00pm sharp with the center closing then. Club Stalwart Jack Ho commented that the club has been running well with good numbers of both juniors and seniors attending the club. He’s excited by some of the young talent coming through at the club including Owen Su, Ben Westenra and David Van Drimmelin. Andrew carried out two hours of multi-ball training with a number of enthusiastic club members on the new donic tables in the VIP room. Want to know more, get along to one of the Karori clubnights to find out.